The Catholic Commission's report of 1982 proved influential beyond Britain. Take, for instance, a recent official apology by the Prime Minister of Antigua and Barbuda for the wrongs suffered by the islands' Rastafari community, and its mention of the report. Nonetheless, following the 1982 report, recognition of the rights of Rastafari has been made primarily in terms of religion and less so in terms of the movement's Pan-African commitments and social justice agenda. ​​What is more, some Rastafari are not even convinced that British society respects their religious rites and rituals. ​When it comes to enjoying equal rights, the picture is mixed for Rastafari in Britain. Consider the following recommendations from the Catholic Commission and then consult the news stories underneath..
​1 .Rastafarianism should be recognised as a valid religion, and the members and leaders of other religious groups should attempt to engage the proponents of Rastafarianism in dialogue with a view to mutual learning and sharing. 2. Christians and Christian churches should take whatever opportunities they may have or are able to create to relate to Rastafarians as they would to the believers of other non-christian faiths. 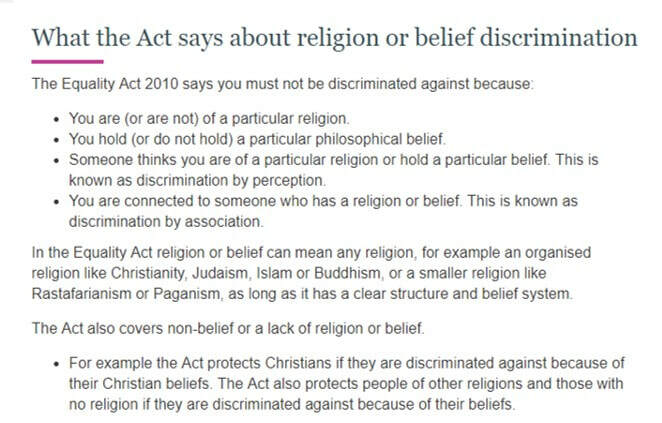 For instance, Rastafarians often lack places to meet, and Christian churches could consider allowing Rastafarians to use their premises. 3. The Christian churches and other religious groups should exercise appropriate influence over their own institutions (for example, schools, children’s homes etc) so that they might relate to the members of the Rastafarian movement with true knowledge and sound understanding rather than with an attitude born of fear, ignorance, and prejudice. 4. Rastafarian styles of dress (for example, locks and head-dress) should be accepted as authentic religious expressions and legitimate cultural forms. 5. The Home Office should use its influence to ensure that penal institutions have regard for these legitimate forms, etc. 6. All authority figures should scrupulously avoid any form of harassment and discrimination against Rastafarians. It is especially important that professional workers such as teachers, social workers, police and prison and probation officers should be sensitive to the tendency to stereotype black people, in general, and Rastafarians, in particular. 7. Social and community work agencies should take positive steps to serve a multiracial, multicultural society and in so doing recognise the importance of learning from and correctly representing the variety of culturally based views and practices. Rastafarians should be in a genuine position of not only obtaining effective help but also giving it.